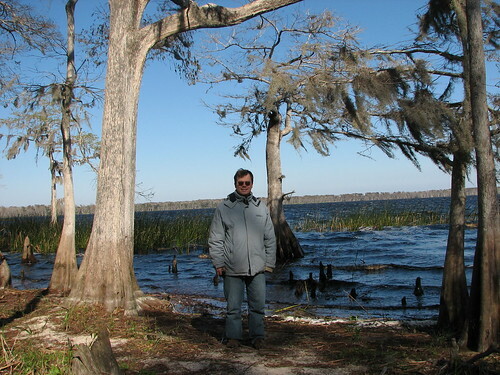 ▲ This is at Disney Wilderness Preserve on January 3rd. We started off the year at First Night in Leesburg, Florida. New Year’s Day had record low temperatures in Florida. 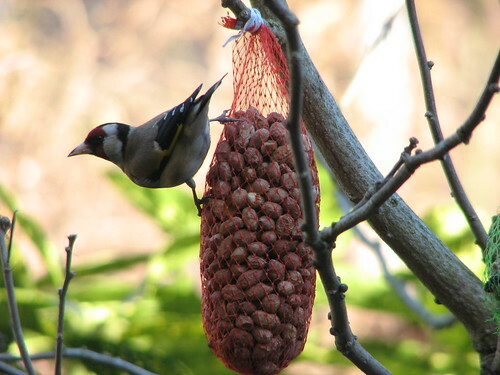 ▲ In February we had a new visitor to our backyard in Leiden, the European Goldfinch. It isn’t a rare bird, but we never saw one before in our own backyard. It brought the total of different birds we had in our small backyard to a respectable twelve. ▲ In March we spent a weekend with my family in a holiday bungalow at Port Zélande resort in Zeeland. Here we are in Hellevoetsluis. 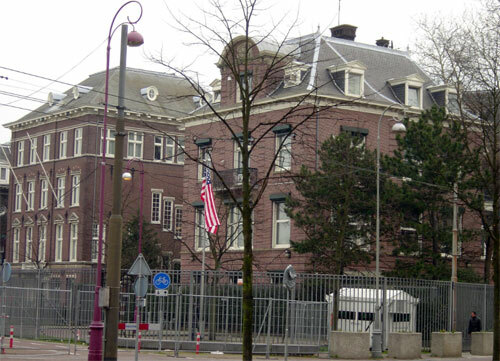 ▲ From January through March we went to Amsterdam several times for my US permanent resident visa. My final interview at the US Consulate was on 20 March and I received my visa in the mail on 27 March. 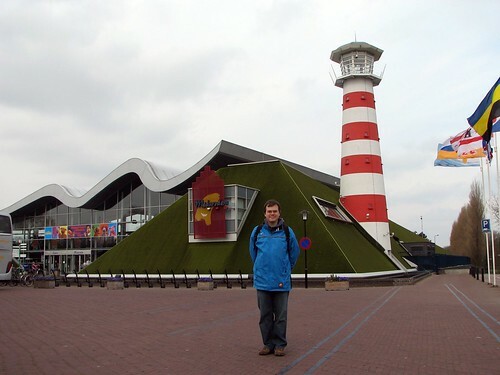 ▲ On April 19th we went to Madurodam, the smallest town in the Netherlands. Madurodam is a tourist attraction near the Hague where typical Dutch buildings and landmarks are displayed at a 1:25 scale. ▲ On April 25th we visited the Kaasmarkt in Alkmaar. 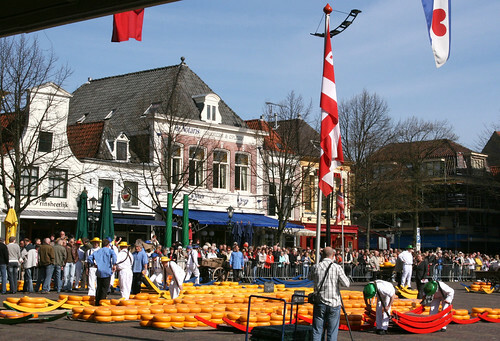 This largest cheese market in the world was started in 1365 and since 1939 Alkmaar has been the only place in the Netherlands to maintain the cheese market in this traditional form. 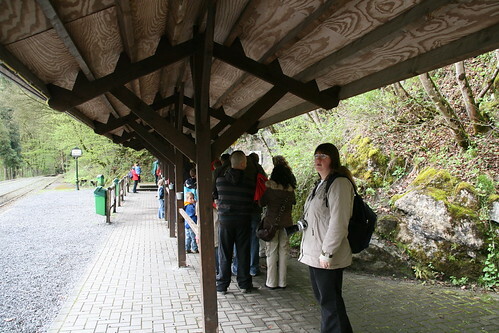 It is mainly done for tourists now and held from mid-April to mid-September on every Friday morning. ▲ On April 30th we left on a short road trip to France. On our first day we stopped at the Caves of Han in Belgium. The large rooms were very impressive and the underground whitewater river was very cool to see. There was even a short sound-and-light show in one of the big chambers with benches for everyone to sit down. It was very entertaining. ▲ The next days we drove throught the Alsace region of eastern France. 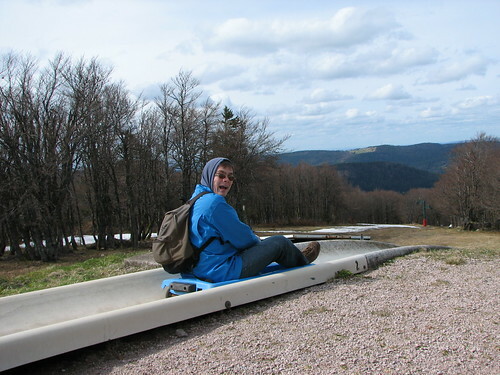 Here’s me at an alpine slide at the highest pass of the Vosges Mountains at 1139 meters (3737 feet), just west of Munster. 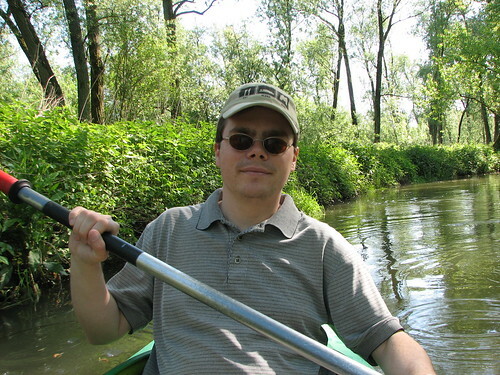 ▲ On May 9th we visited Biesbosch National Park south of Rotterdam and rented a canoe for a few hours of canoeing. ▲ On May 17th we went to Baarle Nassau to see my cousin Agnes at a pottery demonstration. 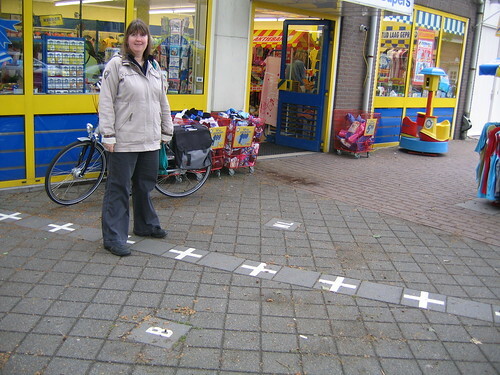 Baarle is a town in the south of the Netherlands with complicated borders that zig-zag through town. The border situation is the result of a number of complex medieval treaties, agreements, land-swaps and land sales. In this photo Amy has one foot in Belgium and the other in the Netherlands. 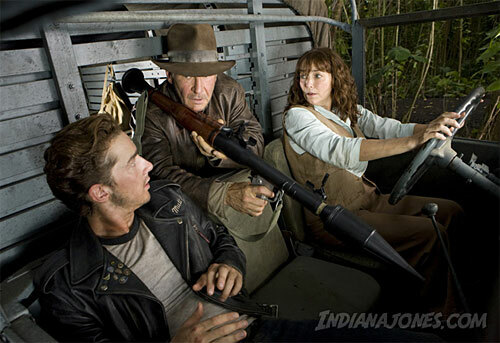 ▲ On May 23rd we saw Indiana Jones and the Kingdom of the Crystal Skull at Pathé Arena in Amsterdam. We thought it was great and saw it two more times on the big screen, in the Hague and Rotterdam. ▲ On June 14th we drove to Katwijk for a walk with my parents and had some drinks at a beach cafe. ▲ On June 27th we finally bought our tickets for our move to the United States. The date of our big move was set to 21 September and packing began. 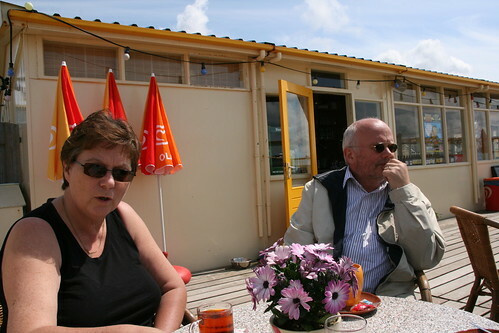 ▲ On July 2nd we went to the island of Texel. 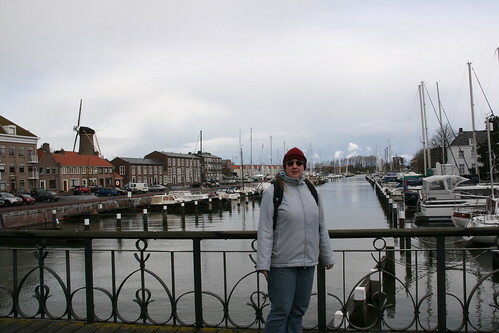 We took the train from Leiden to Den Helder and then the Teso ferry to Het Horntje on Texel. 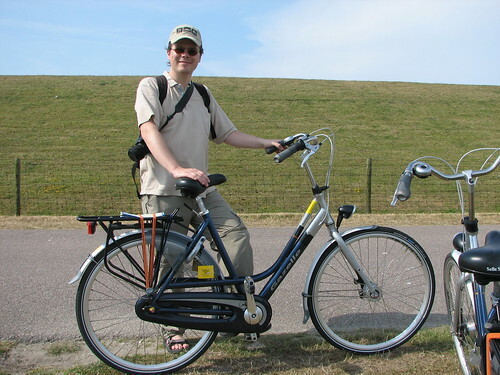 It was a beautiful day for bicycling around Texel: 30oC and sunny. 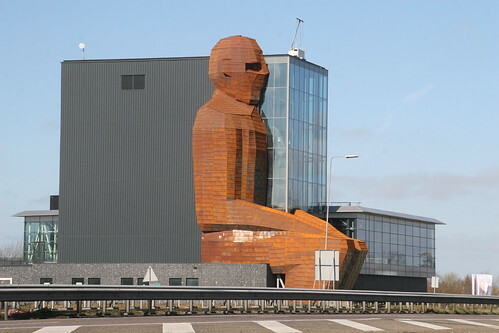 ▲ On July 19th we visited the new Corpus Museum in Oegstgeest, which opened on 14 March 2008. The museum is housed in an impressive 7-storey building with a statue of a large man sitting on it. Corpus features a 1-hour multimedia tour through a giant body, traveling from the stomach, through the intestines, into the heart, lungs, mouth, eyes and eventually the brain. 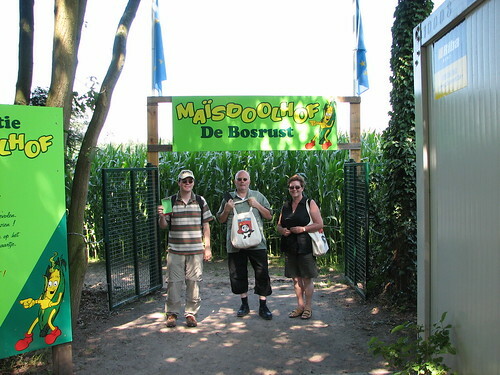 ▲ On July 25th we took a long bike ride around Roosendaal with my parents and visited this Corn Maze in Belgium at De Bosrust in Essen-Horendonk. 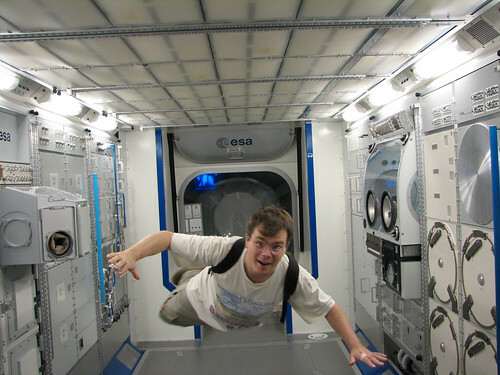 ▲ On August 2nd we went to Noordwijk and visited the Space Expo exhibition and visitor center of the European Space Research and Technology Centre (ESTEC). This largest site of ESA was just a half hour from our house in Leiden. ▲ From 17 to 24 August we stayed at a chateau in the small town of Bourgueil in the Loire Valley in France. We saw lots of castles, beautiful gardens and nature parks. 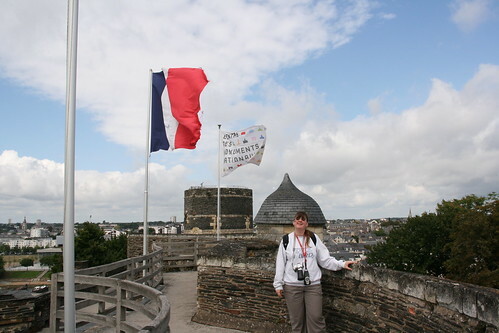 Here’s Amy at the huge Château d’Angers. 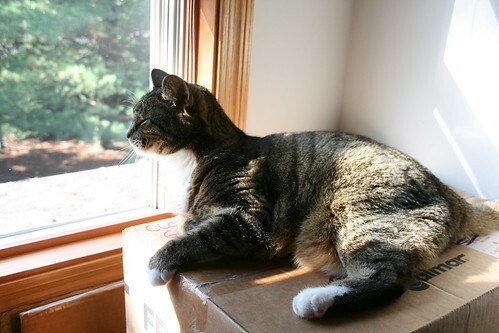 ▲ Through the summer we spent many hours emptying our house and packing up all the stuff we wanted to move. 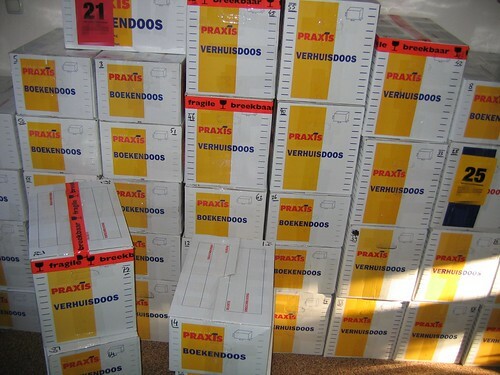 On 9 September our boxes were picked up by Worldwide Baggage Services (highly recommended) and shipped to Chicago. 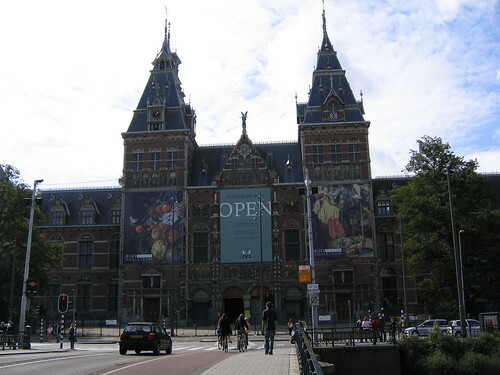 ▲ On September 10th we went to Amsterdam for the last time (for a while at least) and visited the Rijksmuseum. Holland’s National Art and History Museum is housed in a very large building that is currently being renovated and work is expected to last until 2013! Until that time a small collection of masterpieces can be visited in the Philips Wing. It was a small exhibit but very much worth the visit. 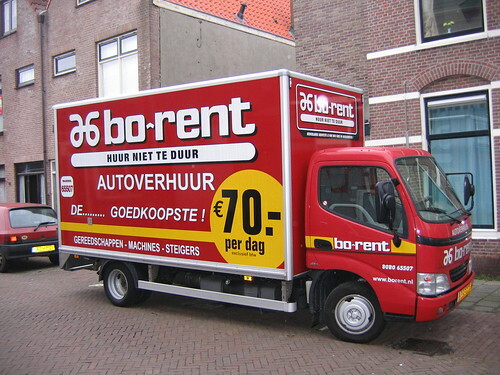 ▲ On September 12th we rented a small truck and moved our couch and several other big things to our family in Roosendaal. By this time our house was getting pretty empty, with only some essential furniture left. 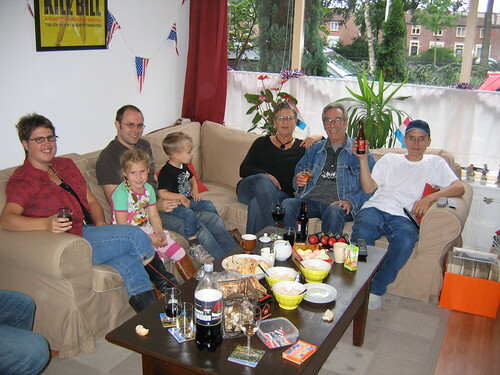 ▲ On September 13th we had a small goodbye party with my family in Roosendaal and that evening we had a very nice dinner with my parents and Patrick at Het Hooihuis. 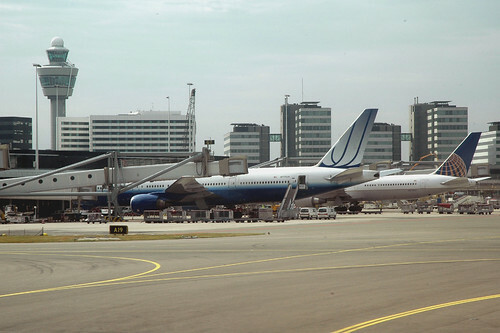 ▲ On September 21st we flew from Amsterdam to Chicago with our two cats Arby and Alex. 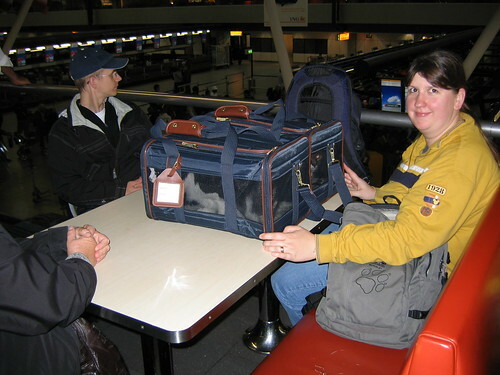 Here’s Amy with the cats at Schiphol just 15 minutes before we said goodbye to my family and went through passport control. ▲ On October 11th we drove up to Horicon National Wildlife Refuge in Wisconsin. The weather was beautiful this day, around 77oF / 25oC. 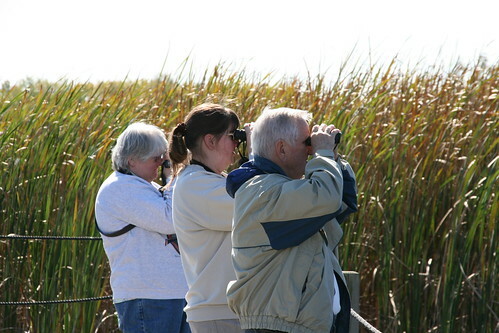 Horicon Marsh is the site of both a national and state wildlife refuge. 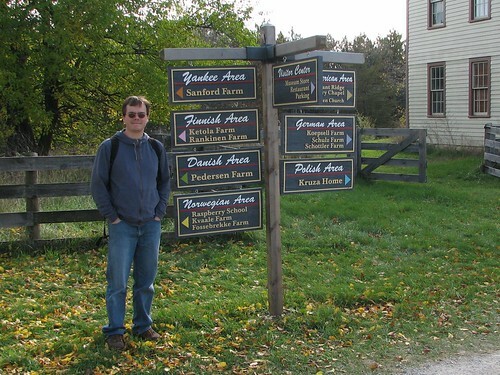 ▲ On October 19th we drove up to Eagle, southwest of Milwaukee, and visited Old World Wisconsin, an open air museum with more than 60 historic structures from the 1800s. 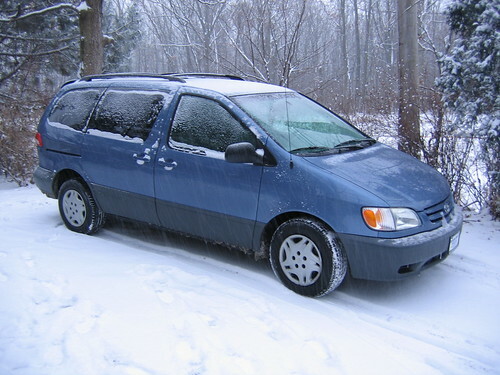 ▲ On December 16th we bought this 2002 Toyota Sienna. Three days later, on December 19th, I got my Illinois driver’s license at the DMV facility in Deerfield. 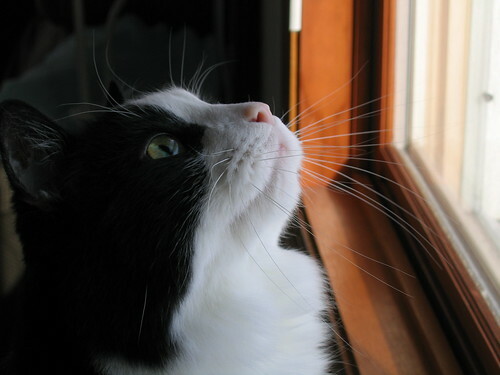 ▲ On December 21st Arby discovered some starlings perched on a wire close to the house. 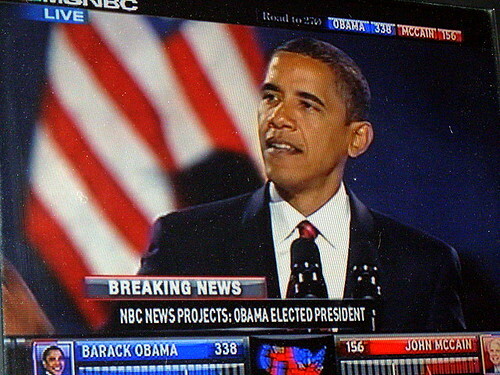 This entry was posted on Friday, December 26th, 2008 at 4:11 pm CET and is filed under Personal	with tags . You can follow any responses to this entry through the RSS 2.0 feed. You can leave a response, or trackback from your own site.